Window treatments aren’t just what covers the window—they’re also about ease of operation and safety. That’s where various lift systems come in, and Hunter Douglas has many to choose from. 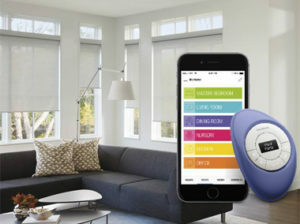 All of them are great selections; however, the cream of the crop is PowerView® Motorization. Read on to learn more, or speak with a trained consultant at Windo VanGo today! With PowerView, you program your window treatments to open or close whenever you choose. They can raise before the sunrise so that the light gently wakes you. They can close in the afternoon to keep the direct light of the setting sun from your eyes. 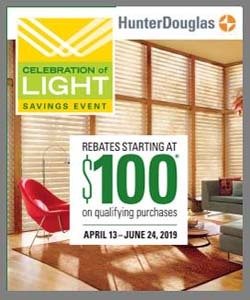 Your Hunter Douglas window treatments reveal the possibilities ahead. PowerView motorized window coverings by Hunter Douglas give you the power to customize room settings how and when you want. You can control all of your window treatments from your smartphone, a tablet, or the PowerView® Pebble® controller. Program your perfect settings, and let the system do the rest. In fact, because you can use the intuitive PowerView app to meet your light and privacy needs in the morning, afternoon, and evening—even if you’re halfway around the world. Does all of this sound complicated? It’s not. Most PowerView shades are battery-operated, so they are easy to install. And operating the system is a breeze. Even better, this cordless operation creates a safer environment for pets and children. Plus the convenience and benefits will win you over.